stitches and specialty feet. Includes several projects created with these techniques. 9400, 9450, 6700, 15000, S9, S7. Non Janome onwers please reserve a classroom machine directly through Gigi. We have plenty. above techniques, modern quilting and embroidery. hand-picked blind hem, invisible zipper. We are so excited to have one of the best educators ever back in our store. 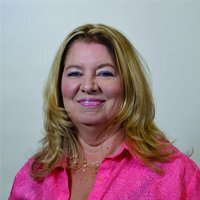 Instructor Bio: LuAnn has been in the sewing industry for over 30 years and has a unique knowledge of fabric behavior. While she enjoys quilting, she is a fabric embellisher at heart and often combines machine embroidery, heirloom sewing, quilting and garment construction with stunning results. 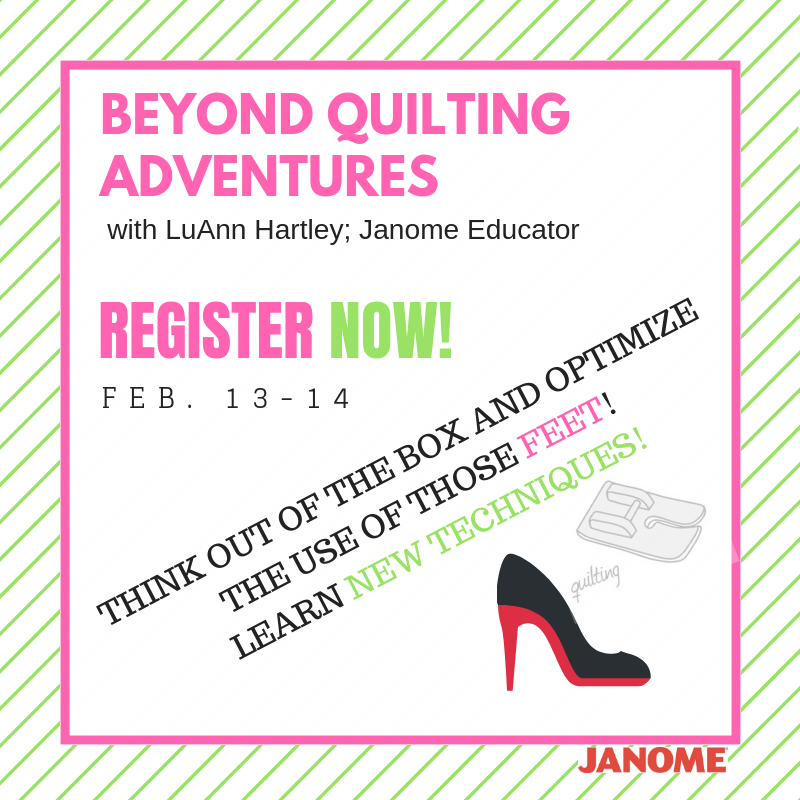 LuAnn joined Janome in 2008 as an Educational Coordinator. Prior to that, she was a store owner and has taught classes at American Quilter's Society events. LuAnn's projects are examples of how to get the most from your sewing/embroidery machine and accessories.